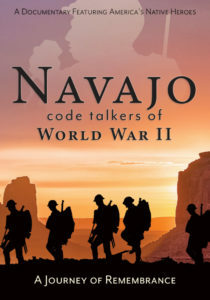 Navajo Code Talkers of World War II provides viewers with highly personal insights from a group of six Native American war heroes [original code talkers] regarding their service on behalf of the United States and the Navajo Nation. The secret code these marines developed, based on the unwritten Navajo language, was never broken. It afforded American troops an upper hand in many battles that ultimately led to Japan’s surrender in 1945. 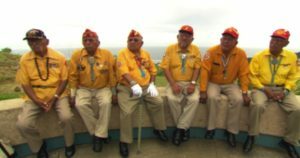 Filmed on location in Iwo Jima, Okinawa, Saipan, Guam and Tinian during two trips with the six USMC World War II veterans and their family members, the documentary reveals the wartime stories of these heroes as they travel on their journey of remembrance. Their stories are intimate and their memories are commemorated in this new film that tells far more than a simple WWII history documentary.